screenshot from a webcam located in Washington DC taken on Monday, 14th February 2011. 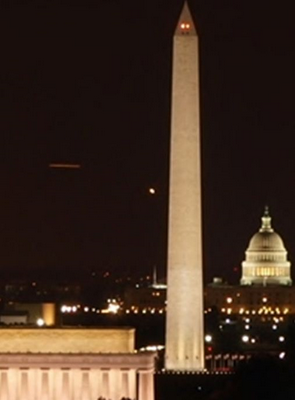 Author's report: I have been fascinated by UFO's most of my adult life and was watching a couple of Washington DC cams over the weekend and captured these objects from different cams. I have no idea what they are and I am by no means stating that they are UFO's but I know there is a No-Fly Zone over the White House and nearby areas and wondering if anyone knows what these objects could be. Note: These cams are refreshed every 10 to 15 mins so they represent only a moment in time.